Well, I hope you’ve enjoyed these tunes as much as I enjoyed finding them; have a great day! 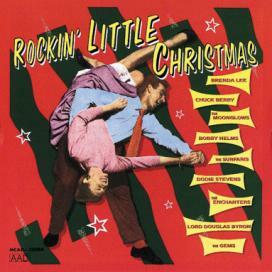 This entry was posted in Advent/Christmas, Holidays, Music and tagged "Here Comes Santa Claus", "Jingle Bell Rock", "Rockin' Around The Christmas Tree", "Run Run Rudolph", Bobby Helms, Brenda Lee, Chuck Berry, Elvis Presley. Bookmark the permalink.